Welcome to the Tuam Diocesan Safeguarding Children page. The Archdiocese of Tuam values and encourages the participation of children and young people in all Church liturgies and parish activities that enhance their spiritual, physical, emotional and social development. We strive to ensure that every child placed in our care is placed in a secure and safe environment. The Archdiocese of Tuam has for the past six years invested much energy and resources into the development of a clear and robust Safeguarding Children Policy and into the setting up of structures which will support the implementation of such Policy across the diocese. May ’03 Tuam participates in a pilot Child Protection Programme set up by the Episcopal Conference. Ten people receive Child Protection Training. Jan ’04 The Tuam Diocesan Child Protection Committee is established. (See below). The aim of this Committee is to develop policy, provide training and create awareness of the issues involved in the area of Child Protection. The Committee is made up of Ms.Maureen Walsh, Dunmore, Ret. Supt Joe Staunton, Castlebar, Ms Mary Trench, Robeen, Ms Noreen Sadler, Islandeady. Mr Paul Murphy, HSE, Fr.Tod Nolan, Tuam and Mons. John O Boyle, Claremorris. Maureen Walsh is appointed Chair and Fr. Tod Nolan is appointed Coordinator of Child Protection Training. Mons O Boyle is the Diocesan Child Protection Designated Person. Jan ‘04 – Sept ‘05 Tuam Diocesan Child Protection Policy is developed. The Policy includes a Policy Statement, Core Procedures and a Code of Conduct. The Policy will act as a template for the development of Parish Policy. Two members of the Committee receive training as ‘Keeping Safe’ Trainers through the Volunteer Development Association in Belfast. Sept ‘05-Dec ’05 A two hour Parish Child Protection Presentation is developed and delivered by ten trained volunteers to parishes throughout the diocese. The presentation is attended by the parish clergy, four members of the Pastoral Council and any person who has contact with children in a church context. ‘07 – ’08 The Archdiocese of Tuam becomes part of the HSE West Child Protection initiative and trainers are now accredited by the HSE. A one day training course is provided for Parish Child Protection Representatives. To date 57 of 62 Parish Representatives have received training. All parishes, including our five Gaeltact parishes, have attended Child Protection training. Every parish has a Child Protection Policy in place. A Diocesan Audit is carried out of parish child protection policy and procedures. This committee has been appointed by the Archbishop to work on his behalf to develop direct and manage all aspect policy development, training and support for parishes within the context of best practice for ministry. The Diocesan Child Protection Committee has drawn up a Diocesan Child Protection Policy, Core Procedures and a Code of Conduct which provide the guidelines for all Church personnel. These are in accordance with Our Children – Our Church (2005) and with statutory requirements. Every parish community has been invited to draw up its own Child Protection Policy Statement based on the Diocesan Guidelines. Parish personnel have received training to enable them to identify child protection concerns and to be familiar with diocesan reporting procedures when concerns are raised. All child protection concerns will be brought to the attention of the Diocesan Designated Person (Fr. John O Boyle or Mrs. Mary Trench). Parish personnel will also be made aware of the pastoral care provisions set up by the diocese for all those affected by abuse.  The Archdiocese of Tuam seeks to proclaim the Kingdom of God and to make known the Good News of Christ more fully through worship, service and witness. In keeping with this aim, ministry with children and young people in the Archdiocese is informed by the three Gospel principles of Truth, Justice and Love. The Archdiocese values and encourages the participation of children and young people in all Church liturgies and parish activities that enhance their spiritual, physical, emotional and social development. The Archdiocese recognizes the dignity and rights of all children and young people and is committed to ensuring their safety and well being in a way that promotes their human dignity, integrity and worth as children of God. Each child/young person is to be affirmed as a gift of God and has a right to dignity of life and bodily integrity, which must be respected, nurtured and protected. These rights are inalienable by the very fact of their human dignity. The Archdiocese recognizes that all who work with children and young people have a special duty of care towards them. Leaders must create a safe environment for children and young people in order to secure their protection and enable their full participation in the life of the Church. The Archdiocese has committed itself to putting procedures in place to ensure the welfare and protection of children and young people together with the welfare of those who work with them. The welfare of the child is always paramount. § There will be an adequate ratio of leaders to children and young people at all times. § Leaders must not work in isolation with children and/or young people. In instances where pastoral need may require privacy for a young person, working in isolation should be undertaken in a transparent and open manner. § Physical contact between children/young people and leaders must be appropriate at all times. § Leaders will not consume alcohol or use illicit drugs while having responsibility for or in the presence of children/young people. § Appropriate supervision ratios of adults to children and young people. § Adequate record keeping processes. § Procedures to respond to internal conflicts and disciplinary issues. § To promote awareness of the Church’s child protection policies. § To ensure that the public has ready access to contact details for the Designated Person and relevant HSE officials. § To facilitate anyone in the parish in bringing an allegation or suspicion of child abuse to the attention of the Designated Person should they wish to have such support. § The Archdiocese is committed to healing and reconciliation. Support persons are available to both victim and accused. The Archdiocese is committed to keeping confidential all personal information about children and their families. The only exception may be when child protection concerns arise in relation to a child. In this situation information will be shared on a need to know basis in the best interest of the child. All vacancies (paid or voluntary) should be openly advertised. Application forms should be used for recruitment to all posts. Applicants should be required to provide photo identity and the names of two referees who can attest to their suitability for working with children and young people. All personnel – lay people, religious and clergy – should undertake a recognised programme of child protection training. Up-to-date files should be kept in respect of all personnel; these should include application forms, references and other relevant documentation. The minimum adult/young person ratio in any group should ideally be one adult per group of eight plus one other adult, and allowing an additional adult for each group of eight thereafter. Local circumstances, the ages of the children, the experience of the volunteers and the staff should be taken into consideration. Safety, ability/disability of young people and the nature of the activities being undertaken may require that these ratios be considerably lower. In keeping with ‘Our Children, our Church’ and in order to satisfy statutory requirements each Parish/Church-area is required to develop its own Child Protection Policy. In order to facilitate this process the Child Protection Committee has prepared and presented to all parishes a Two-hour Awareness Raising and Training Module on Child Protection. § Familiarise participants with Diocesan and Parish Child Protection personnel. Each Parish, or Church-area which has a Pastoral Council was asked to ensure that at least six people attend this training module. That number included the local priest, four members of the Pastoral Council and anyone who has contact with children in a Church setting – eg. Sacristan, Choir mistress etc.